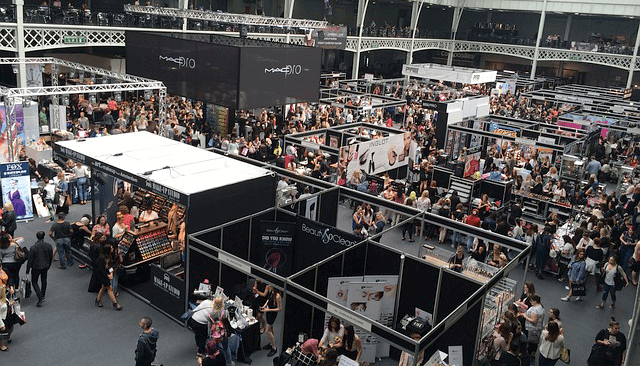 Trade shows generated more than $12 billion dollars in 2016 in the US alone. It’s a popular and effective channel for companies to build brand awareness, generate leads, and strengthen relationships with 82% of attendees having buying power within their organizations. To accomplish these goals, however, a lot of moving pieces need to come together. A big piece of the pie is the exhibitor booth. The booth is the framework for the buying experience on the show floor. This makes it even more important for booth designers and manufacturers to create a perfect booth. If the wrong item is ordered or a typo is made, the whole booth is compromised, creating a costly mistake for both manufacturers of exhibiting equipment and exhibitors. This is where configure, price, quote solutions (CPQ) can help trade show booth manufacturers increase ordering and quoting accuracy while improving the customer experience. To discover the specific ways visual configurator software can improve the trade show booth design experience, we detailed all of the ways it can help down below. Trade show booths are very visual structures. They have to be in order to pull people in from the trade show floor. But while they’re very visual, they are not two-dimensional. So when exhibit display providers use 2D drawings for designers to see what they’re making, sometimes they're not presenting a 100% accurate depiction. It’s more like 66% accurate as they’re typically missing the third dimension. 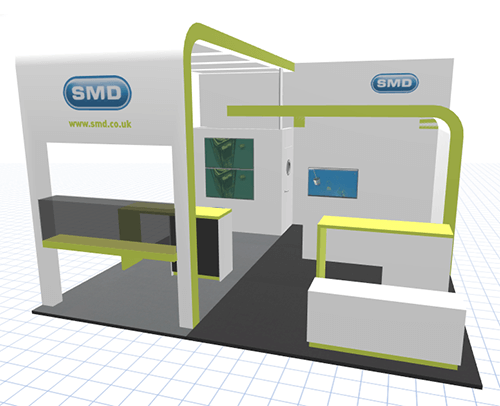 Through 3D product software, your customers can design trade show booths that are both lifelike and precise. It provides customers with a more realistic view of their trade show booth design, allowing them to easily catch mistakes. 3D isn’t your only option, though. Virtual reality is known for increasing trade show ROI for exhibitors, and can have a similar effect for manufacturers of trade show equipment. A virtual reality product configurator allows your customers to virtually experience their booth before it is approved or ordered. While this improves the ordering experience for your buyers, presenting your products through 3D or virtual reality environments will also help separate yourself from the competition. Considering the size and level of customization for trade show booths, your customers typically don’t see the finished product until it is assembled on the trade show floor. This leaves little to no window to fix something if there is an error. This makes it all the more important that both the designer and the manufacturer are mistake-free. With a visual product configurator, customers can assess their trade show booth equipment for the correct dimensions, colors, logos, size, and placement at any time during the configuration process. Several stakeholders can also check the design for accuracy before it is approved and the order is placed. On the manufacturing side, CPQ software will provide accurate quotes in real time as your customers configure their booths. This eliminates common obstacles like product combination errors, miscalculated costs, and quoting delays. In addition, this also frees up your sales reps from needing to manually update their quotes, allowing them to spend more time doing what they do best: selling. Build your trade show exhibit by placing products and furniture into the booth space. Remember those moving parts we mentioned earlier? The booth itself often has multiple pieces that customers need to purchase in order to create a complete booth. For example, they can’t just create a hard shell exhibitor booth and call it a day. They’re also going to need chairs, tables, monitors, and other furnishings to create a booth experience worth going to. And while they can order many of those things through you, do they have to order each one individually? Whereas other configuration portals will require that customers add booth furnishings to a shopping cart one by one, our 3D and virtual reality configurators allow your customers to build and order their booth at the same time. Instead of asking your customers to browse your catalog and select items one by one, our configurators allow your customers to order from one easy-to-use place — no extra browsing required. This creates a more intuitive and seamless ordering experience, increasing customer satisfaction. Ready to See CPQ in Action? For more ways CPQ improves the customer experience, check out these common customer complaints you can solve with CPQ software.